Museums at Night is managed and published by Culture24, a registered charity (referred to as ‘we’ below). Our registered office is Office 4, 28 Kensington Street, Brighton, BN1 4AJ. Culture24 can be contacted by phone on 01273 623266, or by email on [email protected]. This page was last updated on 28 April 2016. 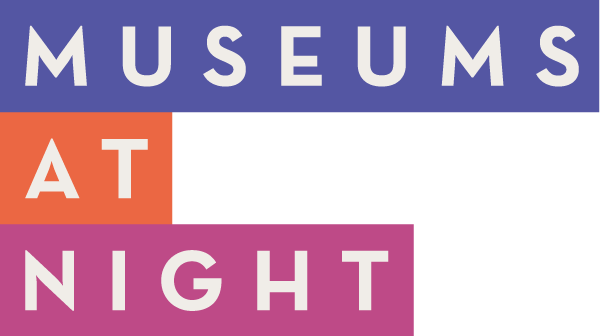 Museums at Night is maintained and published for your personal use and for use in educational settings. We welcome and encourage other websites to link to the information that is hosted on these pages, and you don’t have to ask permission to link to Museums at Night. However, we don’t give you permission to suggest that your website is associated with, or endorsed by, Museums at Night. Museums at Night contains many links to enable you to visit other websites of interest easily. We make every effort to ensure those websites are safe and suitable for your use. However, once you have used these links to leave our site, you should note that we do not have any control over that other website. Therefore, we cannot be responsible for the content or resources you view or use on other websites. We accept no responsibility for them or for any loss or damage that may arise from your use of them. While we make every effort to keep Museums at Night up to date, we don’t provide any guarantees, conditions or warranties as to the accuracy of the information on the site. We recommend in particular that you check opening times and prices of venues, events and exhibitions before making special journeys to visit places. We may at any time revise these terms and conditions without notice. Please check these terms and conditions regularly, as continued use of the Museums at Night website after a change has been made is your acceptance of the change. We collect certain information or data about you when you use Museums at Night. We store your data on our secure servers in the UK, where it could be viewed by our staff or suppliers. It may also be stored outside of Europe. Museums at Night contains links to and from other websites. By entering the competition voters hereby agree to be bound by these rules as amended from time to time, and by any competition instructions. It is the responsibility of voters to keep themselves informed as to any updates of these rules, and they acknowledge that any failure to comply with these rules could lead to their disqualification without reasons being given or opportunity for challenge. 1.1 The general principle is fairness: entries or votes should be made or cast fairly. If, in the opinion of Culture24 this principle has been flouted, they can declare any entries or votes invalid, void the competition, change the competition instructions, or adjust the entries or the voting to achieve fairness, as they think fit. The competition instructions may carry a specific indication, but in the absence of such an indication, only one entry/ vote per entrant (or household, computer or other unit as appropriate) will be permitted. 1.2 The entrant is entitled to vote once for each artist in each poll. Any multiple votes from the same person will not be counted. Employees of Culture24 will not be eligible to participate in any competition. 3.1 Entries must be made in accordance with the competition instructions. They are invalid if they are received any later than the specified closing time (which shall be London date and time). 3.2 The competition will open on the morning of Friday 29th April and close at 8pm on Saturday 14th May 2016 and any votes cast after this time and date will not be counted. The winners will be chosen in accordance with the competition instructions. Culture24 will not be liable for any circumstances beyond its reasonable control that prevent the competition being fulfilled, a winner or winners being chosen, or any prize being taken up or fully enjoyed by a winner. Culture24 excludes liability to the extent permitted by law for any cost, claims or losses howsoever caused that arise by reason of any person’s entry into a competition or the award, or non-award, to them of a prize. 8.1 Entrants will be asked to provide their email address before registering their vote. 8.3 By ticking the box marked ‘Want to win tickets for the event you’ve just voted for?’ the entrant is agreeing to Culture24 sharing their contact details with the specified venue. Winning venues will be announced on the Culture24 and Museums at Night websites. 1. No registration is required. Your details are kept on our system for the purpose of running the competition only. 3. Winners will be selected at random from all the correct entries received. Only winners will be contacted by Culture24. If you win something we will notify you via e-mail or phone. 4. All prizes must be claimed within three months of receiving the notification after which you will be deemed to have forfeited your prize. 5. Prizes must be taken as stated, cannot be deferred and there will be no cash alternatives. 6. The closing date is as shown on the appropriate competition page of Culture24 and entries received after this date will not be accepted. 7. Culture24 do not accept any responsibility for late or lost entries. 8. Employees or contractors of Show Me and Culture24 or any person directly or indirectly involved with these organisations or the running of the competitions, and their direct family members cannot enter the competition. 9. Culture24’s decision is final in every situation including any not covered above and no correspondence will be entered into. 10. Culture24 reserves the right to cancel the competition, amend or waive the rules and disqualify any entry at any stage, if deemed necessary in their opinion and if circumstances arise outside of their control. 11. When entering competitions entrants are deemed to have accepted these rules and agree to be bound by them. Entrants must comply with all rules to be eligible for the prizes. 12. All competitions are free to enter. No purchase is necessary. 13. These rules are subject to English law and the exclusive jurisdiction of the English Courts.